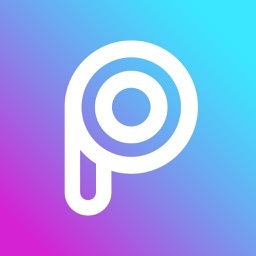 Piconic - Photo Editor&Collage by Filterra Inc. 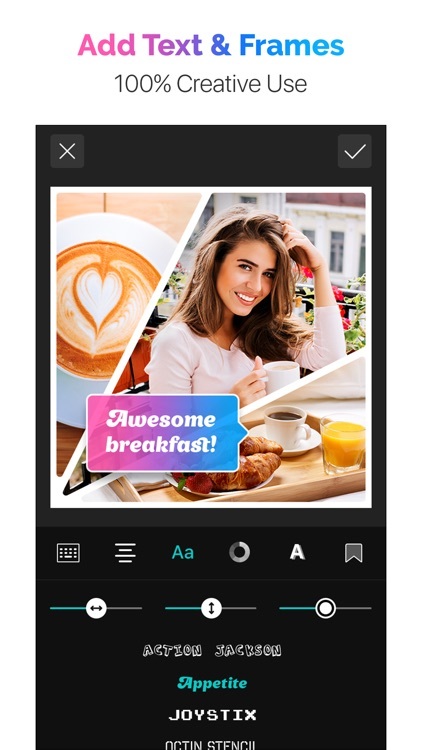 The BEST Photo Editor & Collage Maker, all at one time! Perfect your pics into your own ICONIC masterpieces with PICONIC! 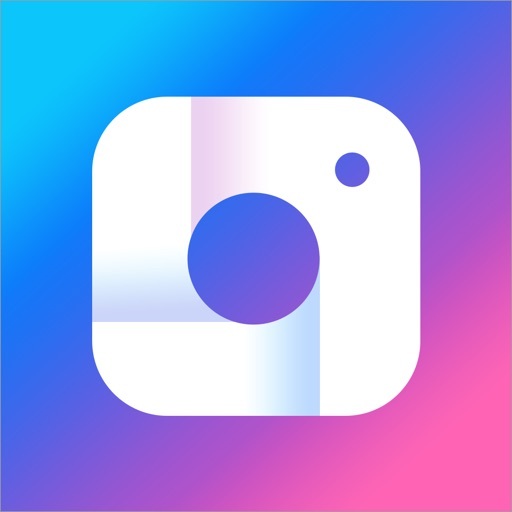 Make trendy collages of your photo moments! Edit your pictures in a unique way with the powerful photo editor! Let your creativity shine brighter than ever with awesome art effects, magic filters, cutest stickers, patterns & frames. YOU have the professional power of art studio right at your fingertips! Make your creation look funky, cute, funny, totally new, impressive, 10x better and whatever you imagine! 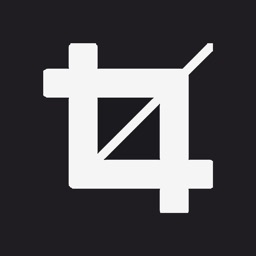 Let your creativity flow without being slowed down from a 'too hard to edit’ app! It’s straightforward, quick and super easy to use! 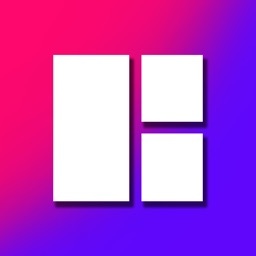 • Have FUN editing and creating cool ICONIC effects! 100% ARTistic freedom! Boring stuff out! 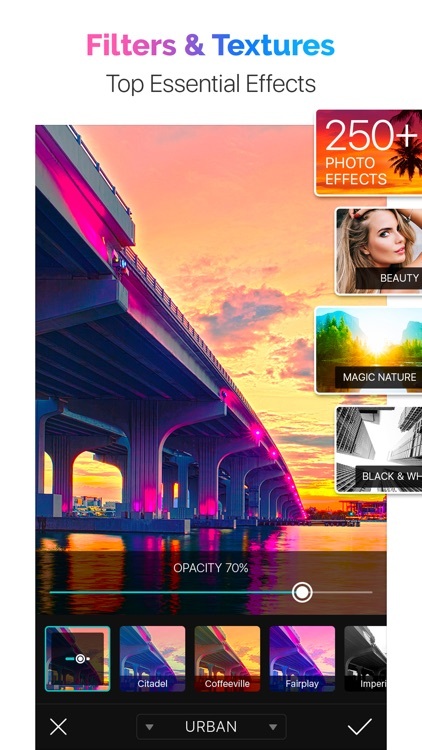 • 100+ Filters in 10 Premium Packs to fit any mood and give a professional no-mess touch! 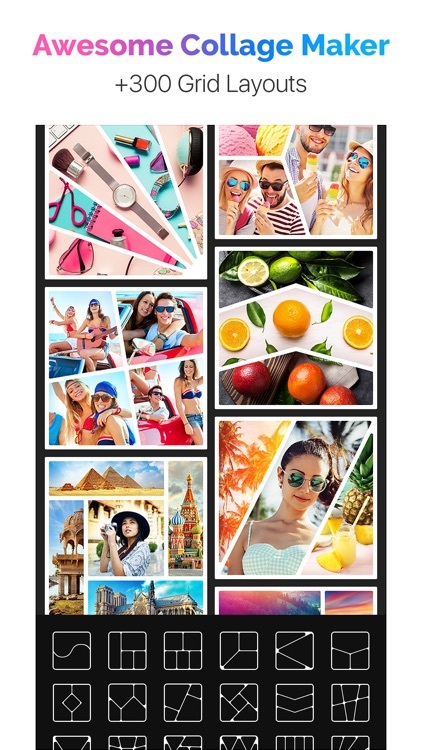 • 300+ Collage Layouts in all shapes, large to small sizes, styles imaginable! Up to 25 picture slots to mix it up! 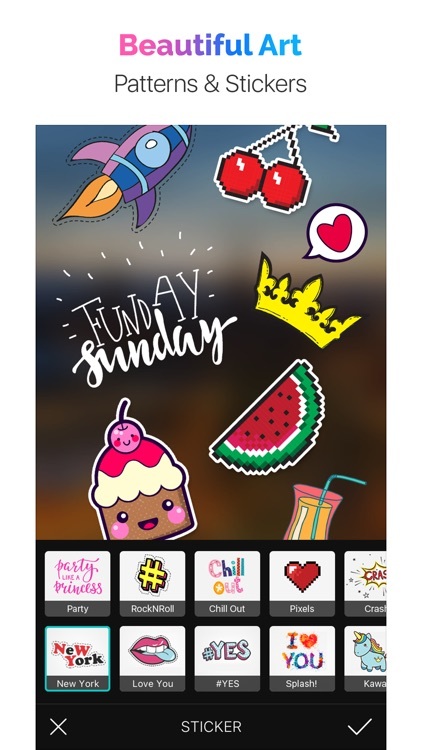 • 400+ Art Stickers & Styling Decorations in over 20 Packs: Super Cute, Colorful, Positive, Sweet, Funny, Smiley! Go crazy with your pics! • Beauty Tools: smooth out your skin, enhance eyes, reshape face and do so much more for your flawless portrait finish! 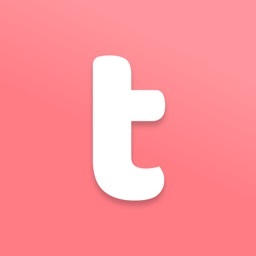 • Beauty Cam: enjoy LIVE retouch filters, skin smoothing & radiant-look effects for an instantly beautiful look! • Beauty Filters: boost your natural beauty, adjust your skin tone and fix any of your flawsome imperfections with quick makeover filters! • 60+ Extra Flare Collection of Awesome Textures for your genuine art pieces! • Everything about Your Collage is FREE Style & SUPER adjustable! From border width, background colors to slot shapes and aspect ratio! • 144 Beautiful & Trendy Frames: shape, style, design it as you want! • 65 Bright Backgrounds & Patterns with a whole bunch of creative rainbow choices! Set your pattern or choose any solid fill with the advanced Color Picker Palette! • Add your own captions & personalized words: choose from 132 fonts, change colors, alignment and text style! • TOP Essential Editing Tools for 100% neatest photos! Enhance, tweak, tune, fix each and every detail! As a member of Piconic Premium, you enjoy unlimited access to our huge exclusive set of Pro-Level Features & Amazing Members-Only Benefits, with no limits! Enjoy professional portrait & beauty tools, 800+ presets & collage layouts, 100+ essential filters, art effects and more! New сonstant additions! -2 subscription options: semi annual (6-month, $2.99 USD per month, full pre-payment), monthly ($3.99 USD, 7-day free trial). PICONIC is so much fun, easy & creative for your Pic Perfecting Passions! We are already waiting for YOU! Join in our creative global Family of PICONIC People! 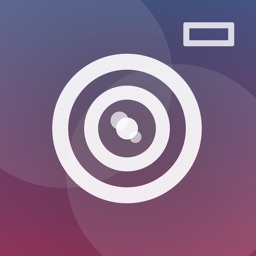 Show off your BEST pics and tag your photos with #piconicapp when sharing on Instagram!